All Hollywood Hills East homes currently listed for sale in Hollywood Hills East as of 04/19/2019 are shown below. You can change the search criteria at any time by pressing the 'Change Search' button below. If you have any questions or you would like more information about any Hollywood Hills East homes for sale or other Hollywood Hills East real estate, please contact us and one of our knowledgeable Hollywood Hills East REALTORS® would be pleased to assist you. "This newly built architectural masterpiece was custom designed by renowned Lydia Vilppu. Tucked away this home boasts stunning, modern finishes, and an abundance of warm light. The natural flow of the home invites you to explore the open living & dining, ideal for entertaining, with cozy outdoor patio to maximize indoor outdoor living. Three luxurious bedrooms are complimented by their own en-suite bathroom featuring unique Italian Porcelain tile and designer sinks & faucets. The expansive Master Suite is easily assessable on the main level living and opens to its own outdoor space perfect for enjoying your morning cup of coffee or tea. The naturally lit kitchen features European Porcelanosa cabinets with Ceasar Stone counter tops and Viking appliances. Completed with a serene garden of succulents and upstairs terrace with views of the canyons and city lights perfect for getting some sun or ending your day with a glass of wine. After seeing in person, it becomes clear this home was made with love and the utmost attention to detail. Close to the Hollywood Lake, nature and hiking trails yet minutes to Studios, Shopping and Fine Dining. You don t want to miss seeing this gorgeous one of a kind for yourself." 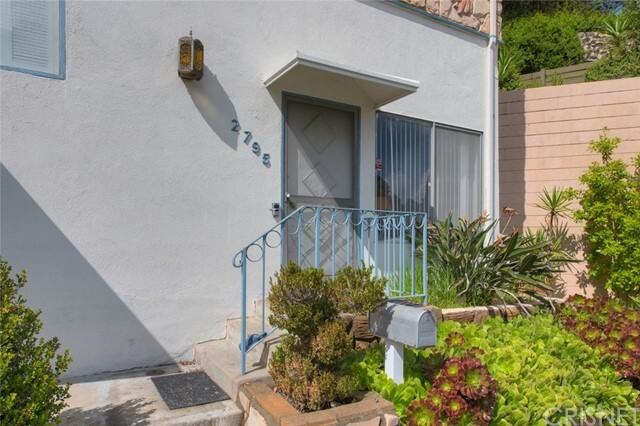 "Bring your Developers/Investors*Fixer in Historical Beachwood Canyon*Contemporary Built in 1962*Great views*2 Bedrooms and Full Bath upstairs/1 Bath Downstairs*Room downstairs can be Living Rm/Family Rm/ Office*2 Car Garage with Direct Access*Laundry in Garage*View from Master and Living Rm and Patio Yard*"